Devvia was established in 2012 in recognition of a need for specialist and independent property development advice, especially in development delivery. Andrew Martinelli, Director and founder of Devvia, as a Fellow of the RICS, has advised clients for over 20 years, within both public and private sectors and across a wide range of property types. Specialising in planning & development Andrew has gained extensive skills and expertise, providing direct, independent, and pragmatic advice to clients. This was gained in working as a property agent, leading the land team of a housebuilding company and in the public sector in drafting policy and s.106 agreement clauses. Andrew has disposed of and acquired a variety of land and property for many years, promoted major urban extensions and secured planning permission through application and appeal. 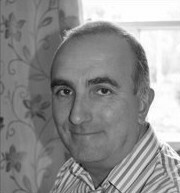 Andrew is a Fellow of the RICS and was a consultee on the RICS Guidance Note 94/12 ‘Financial Viability in Planning’ (2012), a contributor to the RICS Housing Commission (2013) and a member of the RICS working party producing the Information Paper ‘Placemaking and Value’ (2016). Devvia offers a wide range of services to clients, and Andrew works closely and alongside other consultants. Acting for landowners, developers, and land promoters in many differing ways the aim is always to provide solutions and secure the delivery of development schemes, especially housing.